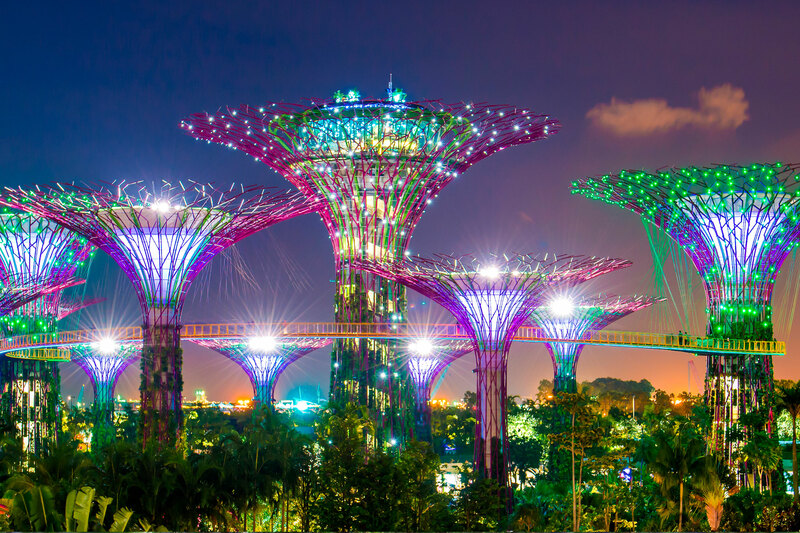 Flights to Singapore and onwards to Sydney, Uluru & Cairns with Qantas from Heathrow, accommodation throughout, return private transfers in Singapore and prepayable taxes.  A weekend surcharge of £25 per person applies for travel on a Friday or Saturday in either direction. Centrally located on Orchard Road within steps of shopping, entertainment and dining options, while two MRT stations are also just 5 minutes walk away, ensuring easy access to all of Singapore. Family owned and run, the Arts Hotel lies in the Paddington area and is surrounded by cafes, pubs, restaurants and shops. 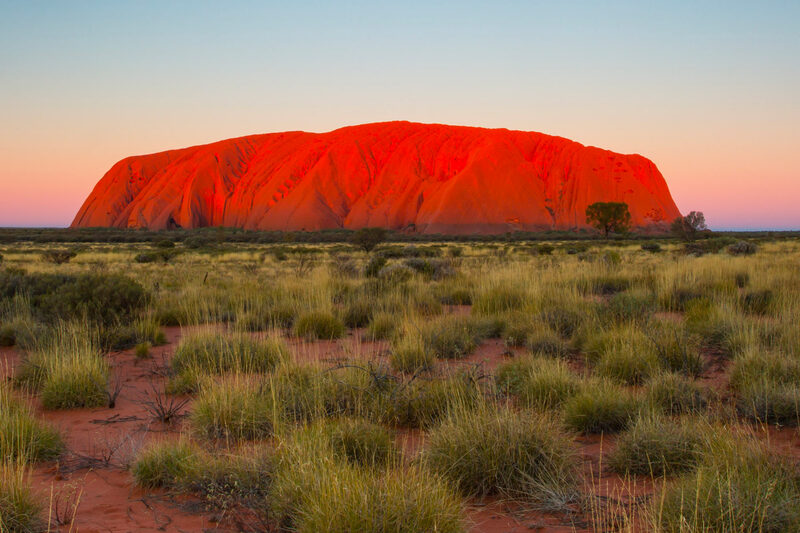 Set in the heart of the Red Centre, Voyages Outback Pioneer offers a lively and friendly atmosphere ideal for those who want to enjoy all that Uluru has to offer. Situated within 11 acres of tropical award-winning landscaped gardens, yet just over two miles from the city centre. Regional Departures: Regional supplements are available from Manchester from £195, Birmingham from £100, Newcastle from £145, Edinburgh from £170, Glasgow from £170. Other regional airports may be available, please ask for details. The view of Sydney Opera House against a backdrop of Sydney Harbour Bridge is reputed to be one of the most recognised sights in the world. 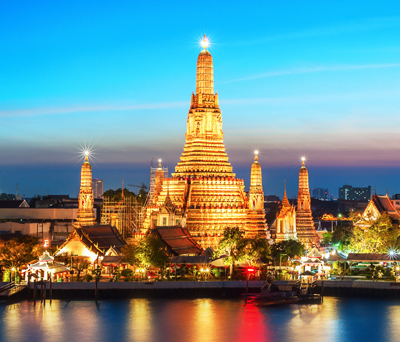 Relatively small, as great cities go, with a population of around 4 million, this is a city which has it all: iconic structures, fantastic beaches, stunning vistas, a cosmopolitan atmosphere and fabulous weather. 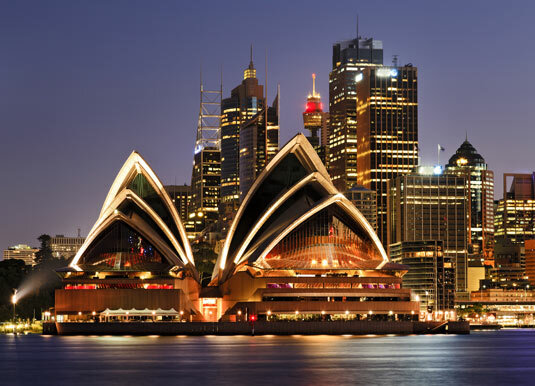 It is most definitely on the must-see list for any visitor to Australia and even if you have visited before, you will want to return again and again. First time visitors should head straight to Sydney Harbour. 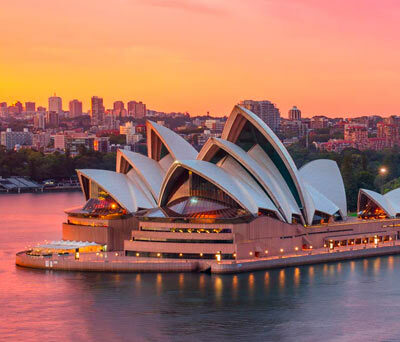 It's one of the most photographed locations in the world, and nothing compares to seeing the harbour, the Sydney Harbour Bridge and the Sydney Opera House with your own eyes. Be sure to book a BridgeClimb for the opportunity to scale the summit and enjoy unbeatable views! The main hub of the harbour is Circular Quay, where ferries arrive and depart continuously linking the various areas of Sydney. Circular Quay also has some of Sydney's best restaurants and is home to the Queen Victoria Building, another must-see attraction which dats back to 1898 and now houses a shopping mall. Adjacent to Circular quay is The Rocks, an historic part of Sydney which saw the first colonial settlement in 1788. 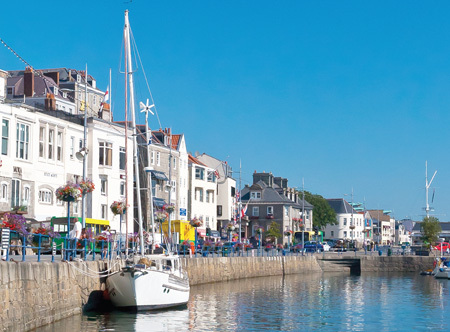 Carefully restored buildings house shops and galleries, as well as cafes, bars, restaurants and pubs. 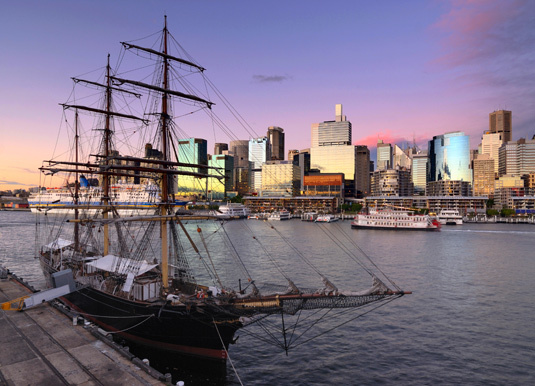 From Sydney Harbour, cross the pedestrianised Pyrmont Bridge to lively Darling Harbour, one of the city's largest dining, shopping and entertainment districts, which has a full calendar of outdoor events, as well as plenty of indoor activities. 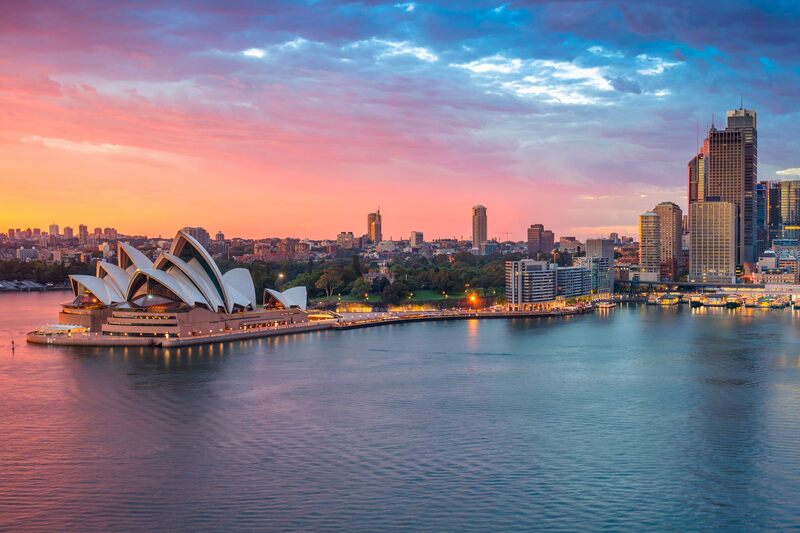 For a bird's eye view of Sydney, head to the summit of Sydney Tower Eye and enjoy panoramic vistas stretching across the city to the Pacific Ocean and the Blue Mountains to the west. At the top of the tower is the Sydney Skywalk, a moving, glass-floored viewing platform. Additional city attractions include the Royal Botanic Gardens, a true oasis in the heart of the city, home to an outstanding collection of plants from Australia and overseas; Hyde Park, which is Australia's oldest park and contains the ANZAC Memorial building and visitor centre along with nearly 600 mature exotic and native trees; and the award-winning Taronga Zoo, where admission includes daily keeper talks and shows and access to Sky Safari, Sydney's only cable car. Also not to be missed are Sydney's picturesque beaches, Bondi and Manly. Lying east of the city, Bondi Beach has something for everyone: surf and sand, glitzy bars and cafes, a farmers market, boutique street stalls and not forgetting a carefree, sun-drenched lifestyle. 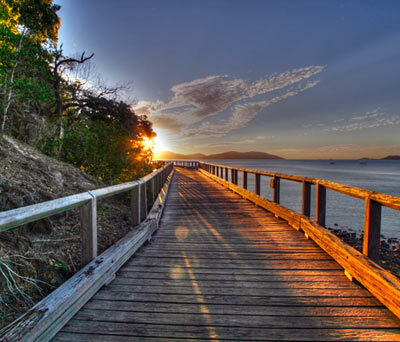 Head north and you'll Manly Beach, a popular playground whether you are looking to surf, swim, shop or wine and dine. 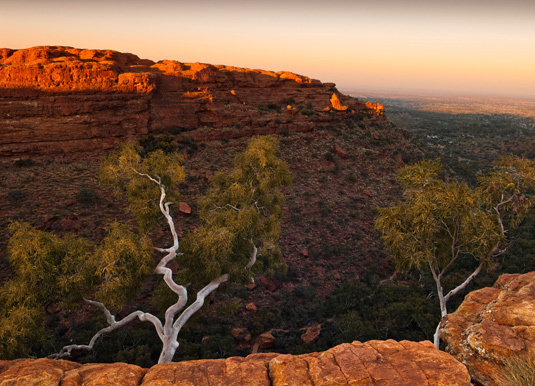 This ruddy sprawl of desert wilderness is a seemingly endless landscape of semi-arid scrubs and sand dunes, weathered mountain ranges, rocky gorges and some of Aboriginal Australia's most sacred sites. Floating in an outback waterhole, dining under a starry sky, watching the world's most famous rock change colours at sunrise and sunset are just some of the Red Centre's only-in-Australia experiences. 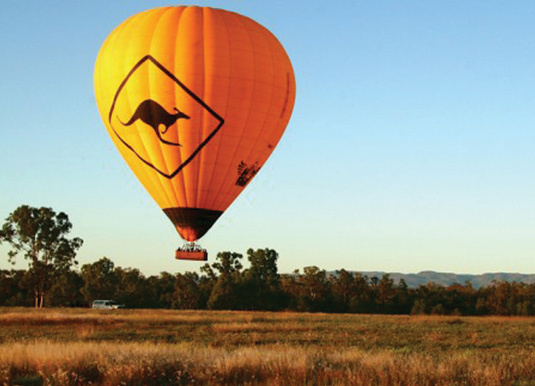 Surrounded by spectacular gum trees and refreshing waterholes, the friendly outback town of Alice Springs is the vibrant hub of central Australia and has all the conveniences of a modern city. Alice is an ideal base for exploring the Red Centre and, as a destination, has an abundance of entertainment and activities on offer. Try your hand at four-wheel driving or quad biking out in the desert, ride a camel through the outback, meander around aboriginal art galleries, visit the Todd Mall Markets, meet the local wildlife at the Alice Springs Desert Park, delve into the past at the historic Telegraph Station or see the home of the Royal Flying Doctor Service. 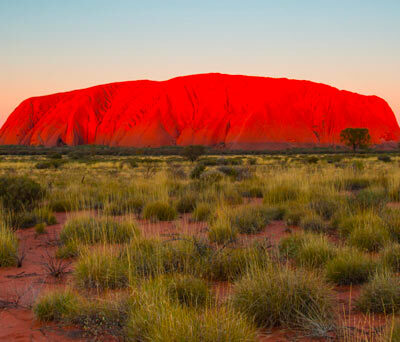 For many, no visit to the Red Centre would be complete without seeing Uluru. Nothing can really prepare you for the immensity, grandeur, shifting colours and stillness of this World Heritage listed 'rock'. Rising from the desert plain, the site is visually stunning and your first view is something you'll never forget. The incredible desert landscape is even more impressive in real life and is best viewed at sunrise or sunset to see it change from brown to orange to red to purple. Don't miss the Field of Light, which is in place until 31 March 2018, an art installation of more than 50,000 slender stems crowned with frosted glass spheres that bloom as darkness falls over Australia's spiritual heartland. 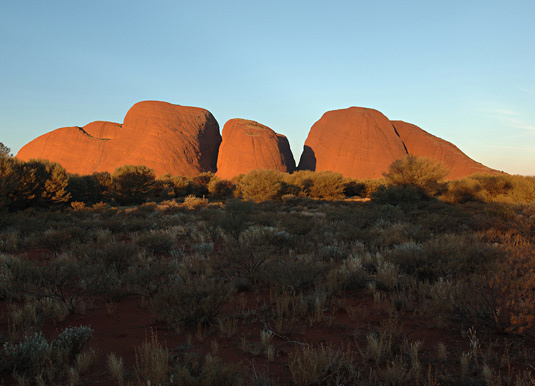 About 20 miles west of Uluru is the equally impressive, but less well known, Kata Tjuta (The Olgas). Thirty-six magnificent, variously sized boulders sit shoulder to shoulder forming deep valleys and steep-sided gorges, which many visitors find even more captivating than their prominent neighbour. Challenging and rewarding bushwalks provide excellent views of the surreal domes and varied terrain. Other notable sights include the often overlooked, yet spectacular yawning chasm of Kings Canyon in Watarrka National Park. Walkers are rewarded with breathtaking views on the Kings Canyon Rim Walk which skirts the canyon's rim before descending down to lush pockets of ferns and prehistoric cycads to a tranquil pool and onwards through a swarm of giant sandstone outcrops. The majestic West MacDonnell Ranges, west of Alice Springs, is an extraordinary landscape of weathered peaks, behind which are rocky gorges and waterholes that are great for cooling off on a hot day. 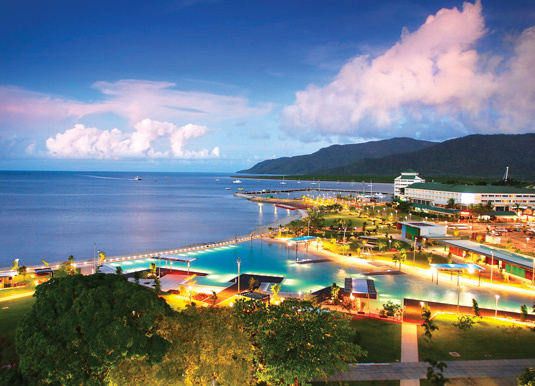 Capital of the Tropical North the cosmopolitan city of Cairns is framed by a backdrop of rainforest mountain ranges and is the perfect base for every activity you could imagine – on land, in the air or below the sea. No trip to Cairns is complete without visiting the Great Barrier Reef, the world's largest coral reef system. Numerous day cruises head out and give you the opportunity to snorkel and dive among vivid coral gardens and colourful fish. 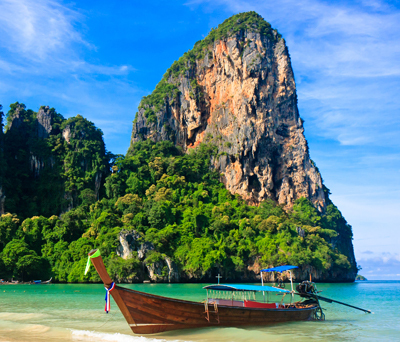 Underwater viewing stations and glass bottom boats also offer a window into this astounding wonderland. 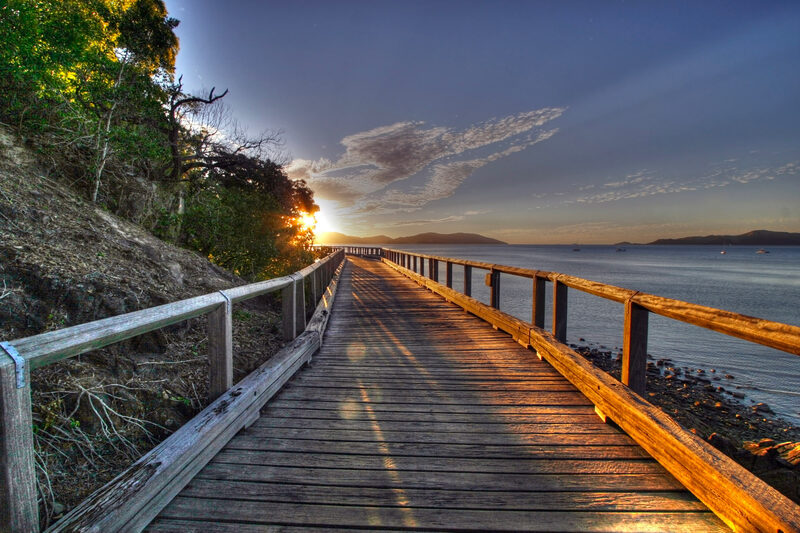 In the heart of Cairns is the Esplanade, a scenic 2.5km expanse home to parklands, playgrounds and recreational facilities, as well as the spectacular, man-made swimmable lagoon. 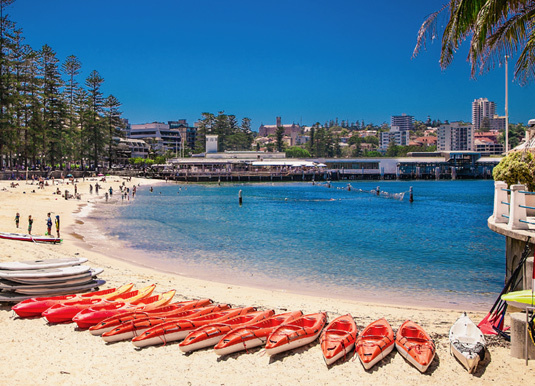 The city has shopping precincts and local markets for picking up regional produce and handicrafts as well as a thriving café scene with many trendy eateries dotted along Grafton and Spence Streets while The Esplanade is also brimming with great restaurants. Outside of the city there is much to see and do. The mountain village of Kuranda is tucked within the tropical rainforest and is known for its vibrant arts community with local markets open daily. It is however the journey to and from Kuranda that is arguably the highlight. The Skyrail Rainforest Cableway glides above the rainforest canopy then descends deep into its heart while on your way back to Cairns you can travel on the historic Kuranda Scenic Railway. 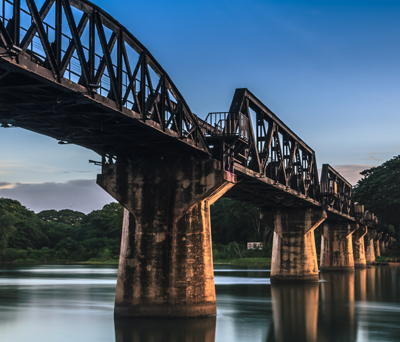 This two jour train journey traverses dense rainforest, winding past rugged mountains, tumbling waterfalls and the stunning Barron Gorge. At Tjapukai Aboriginal Park, just 20 minutes outside Cairns, guests have the opportunity to experience authentic Aboriginal and Torres Strait Islander culture through live performances, guided bush walks and activities such as boomerang throwing and didgeridoo playing. 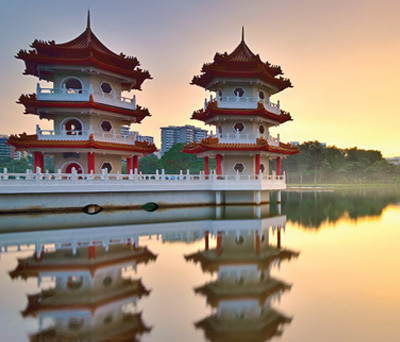 South west of Cairns are the Atherton Tablelands, home to cooler climes, volcanic craters and deep blue lakes, endless waterfalls, quaint villages, gourmet food producers and an abundance of rare wildlife.